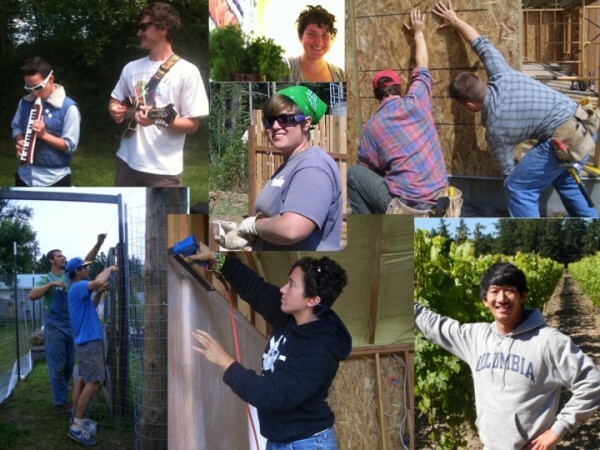 Lopez Community Land Trust offers structured internships for students and graduates or others interested in construction or sustainable agriculture and community food systems. 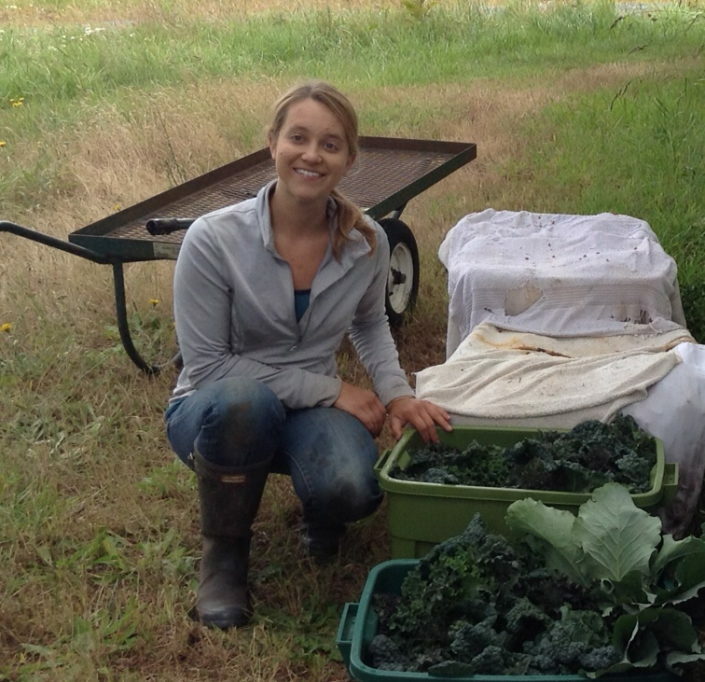 Sustainable Ag (SARD) Internships can begin as early as February but more likely in May. There is a 6 week minimum time commitment for all internships. Beginning each January, we accept applications for both Construction and SARD Internships. Please email lclt25@rockisland.com for more information. Please note: we have filled all available intern slots for Summer 2019. We are no longer accepting applications for Summer 2019. Applications open for Fall 2019 (Sept-Oct) at Life Garden (SARD) or Net Zero Construction. This internship offers a unique opportunity to combine on-farm learning with participation in the ongoing work of the LCLT’s Sustainable Agriculture and Rural Development (SARD) program. LCLT’s staff will work with each intern to develop a flexible workplan/learning contract that will take into account each intern’s interests or needs, while meeting LCLT’s program and field/farm work needs. Local farming and horticultural opportunities range widely. Examples include: salad greens operation, a winery, market gardens and CSA, and livestock production. This internship offers working with a construction supervisor that is also capable of teaching. All new tasks are taught. 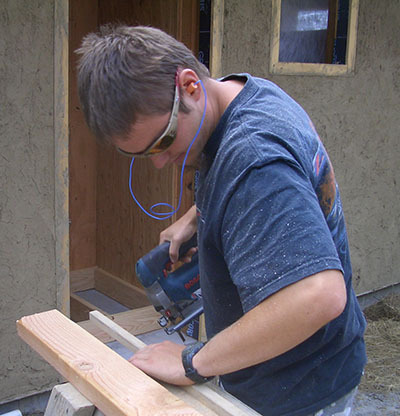 Intern tasks may include preparing forms for concrete, foundation pouring and finishing, double wall framing, roofing with metal roofing, sheathing, sheeting, installation of solar panels, insulating, blocking, finish trim, painting, etc. The interns do not do electric installation and plumbing, due to our code and licensing requirements, nor do they perform mudding and taping. All teaching is hands-on. There is an occasional classroom session for reading floorplans, budgeting and scheduling, and storm water controls on site. We also occasionally do classroom sessions if requested by an intern. Safety is taught throughout the season, for both tools and site arrangement. Recycling procedures and daily clean-up are stressed. For both internships, hours may vary but internships can involve up to 40 hours/week, between work on local farms, seminars, or on LCLT construction projects and work for your host. Housing will be arranged (could range from a room in a family home, to a small cabin, to a tent/tipi campsite) for the length of the internship. Interns will need to provide their own transportation. As a part of the agreement with housing hosts, interns are required to work-trade a day per week for their hosts on a variety of projects, which may include gardening chores or light home maintenance tasks. LCLT makes every effort to match interns and prospective hosts with complementary lifestyles and expectations. Children and/or pets cannot be accommodated. Interns are expected to exhibit initiative and self-motivation, and treat the experience in much the same way as they would employment. From time to time there are required seminars to attend as part of your work week. Interns shall participate at the rate of 32 – 40 hours per week for a minimum of six weeks. Construction interns work from 8 a.m. until 5 p.m. during the designated week days. Internships on Lopez bring you into an intimate setting, with many opportunities to enjoy the natural beauty of the surroundings in the San Juan Islands, and the experience of living in an island community where we depend on and celebrate one another.